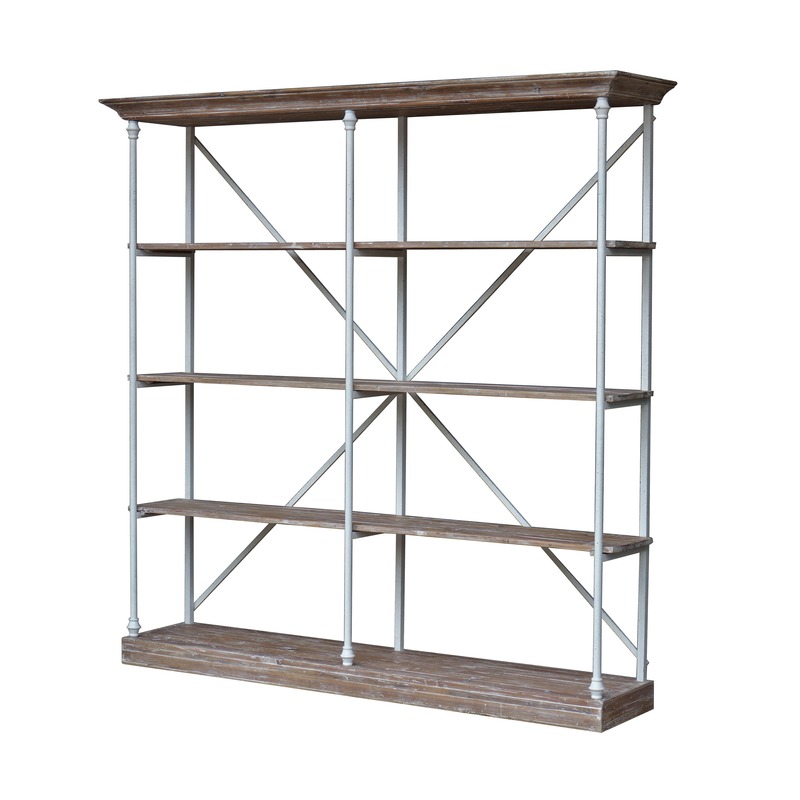 SoHo Factory Shelf - White x White - Antique and Fine Decor for the Home. Inspired by a vintage Belgian factory shelf. Lightly distressed, heavy duty white iron frame with bleached pine shelves. Comes KD - assembly required (comes with assembly directions).